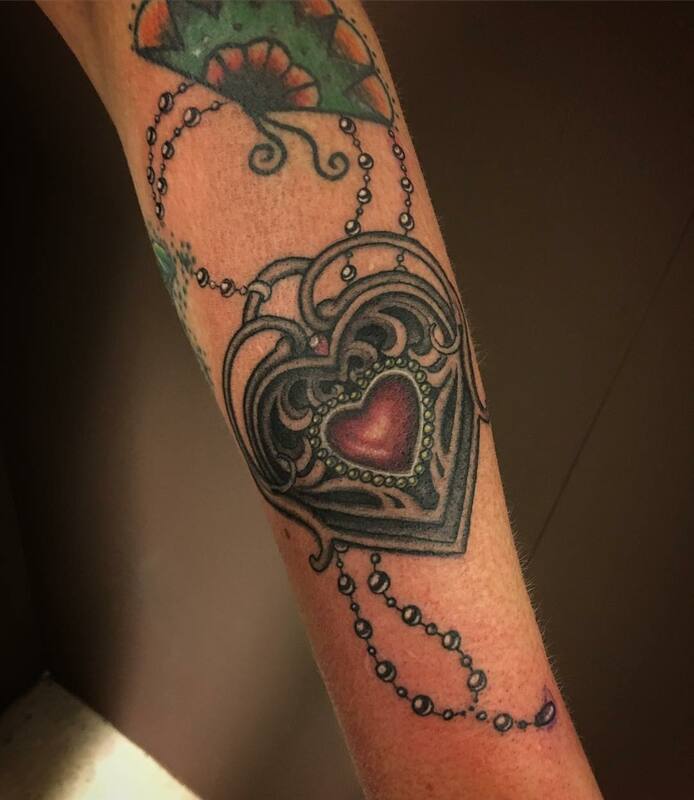 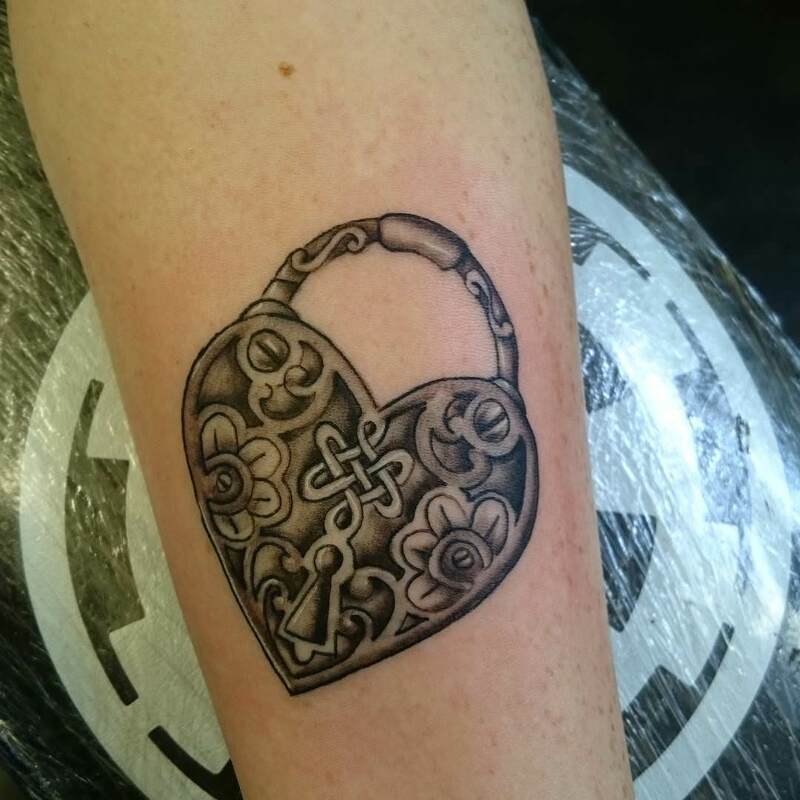 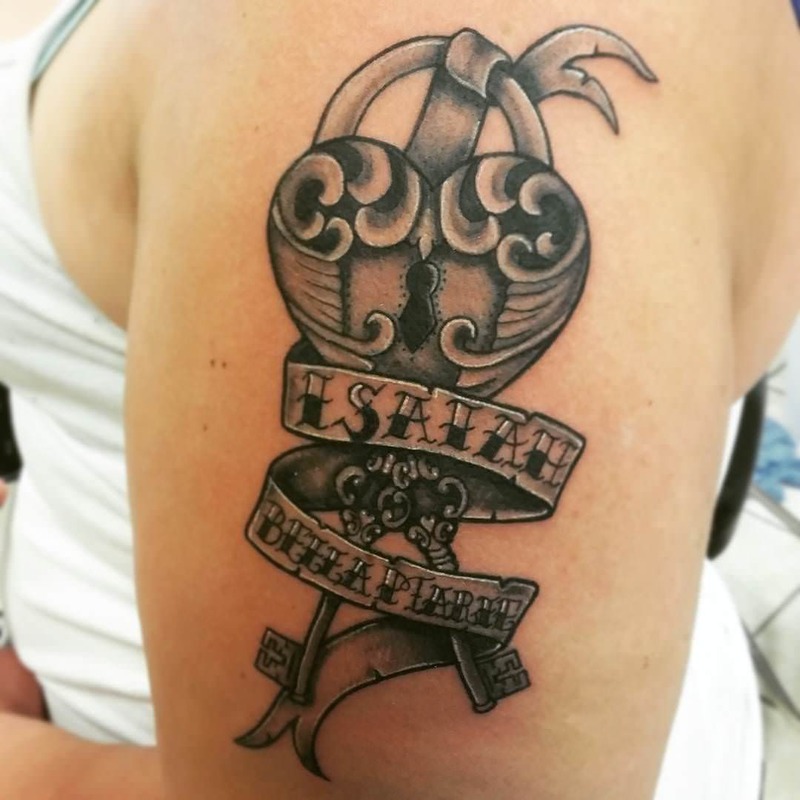 In classic tattoo design, the heart locket tattoo is extremely popular. 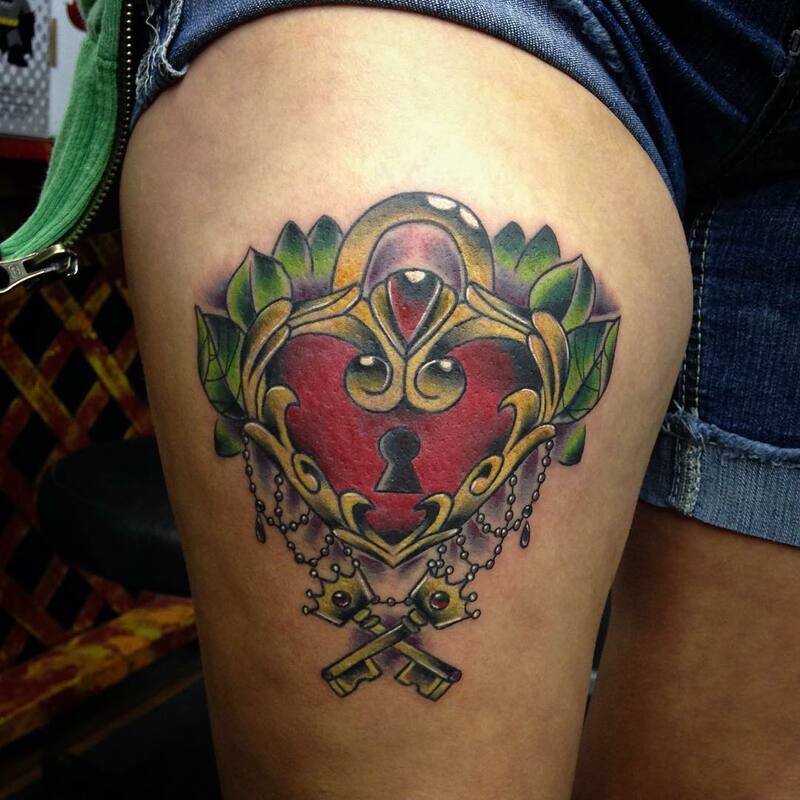 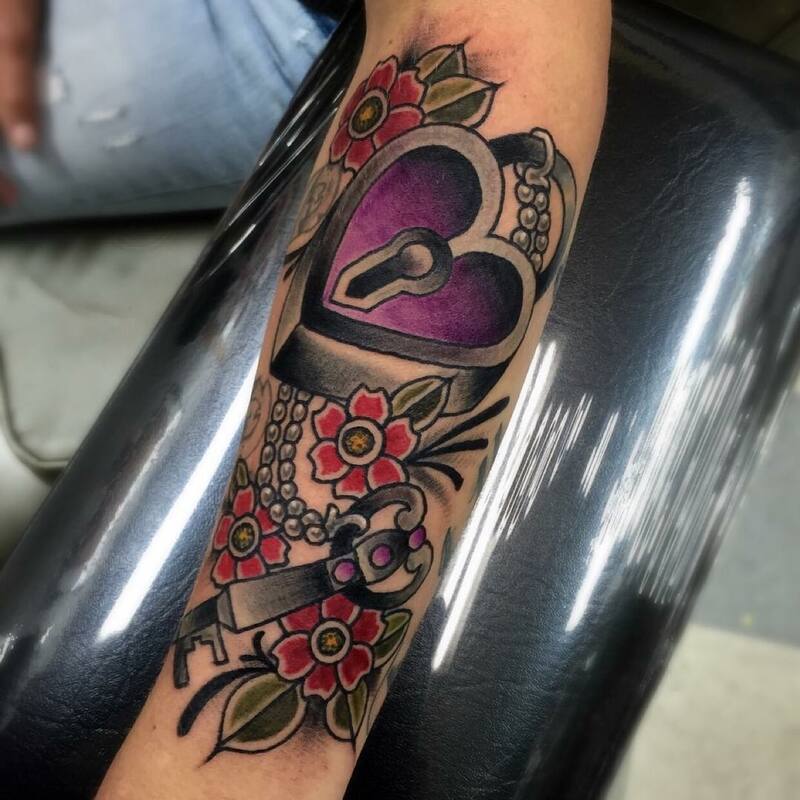 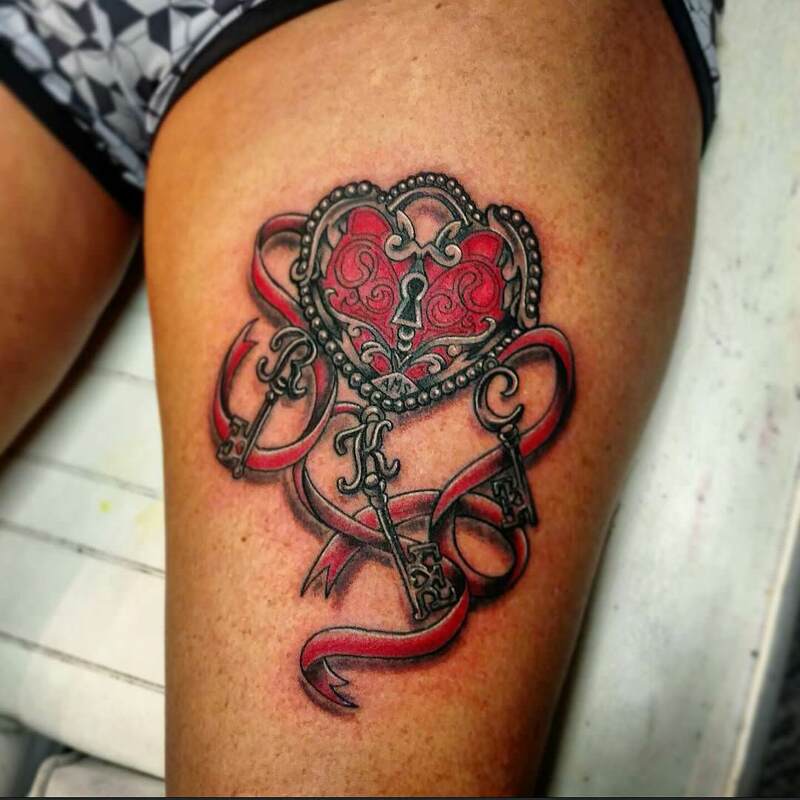 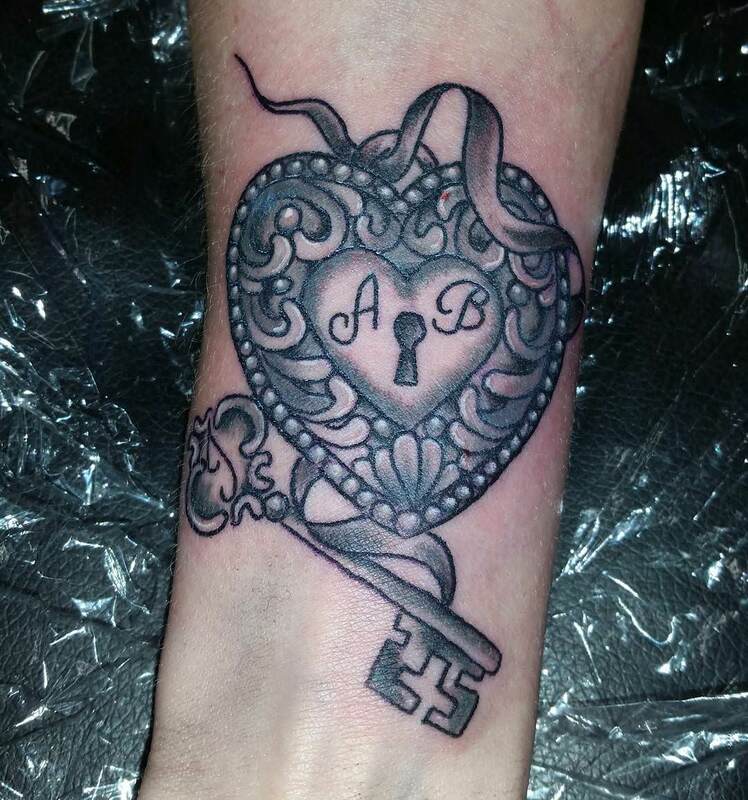 This tattoo represents a heart shape with a keyhole which implies that the heart is a locked space. 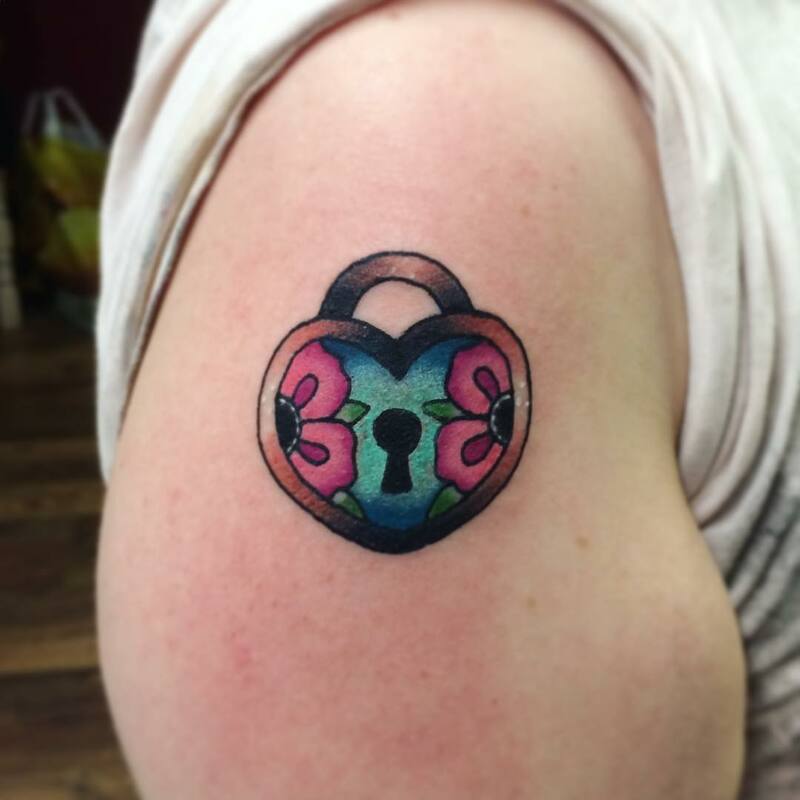 This reveals that one must unlock the heart to witness the inner personality of the person. 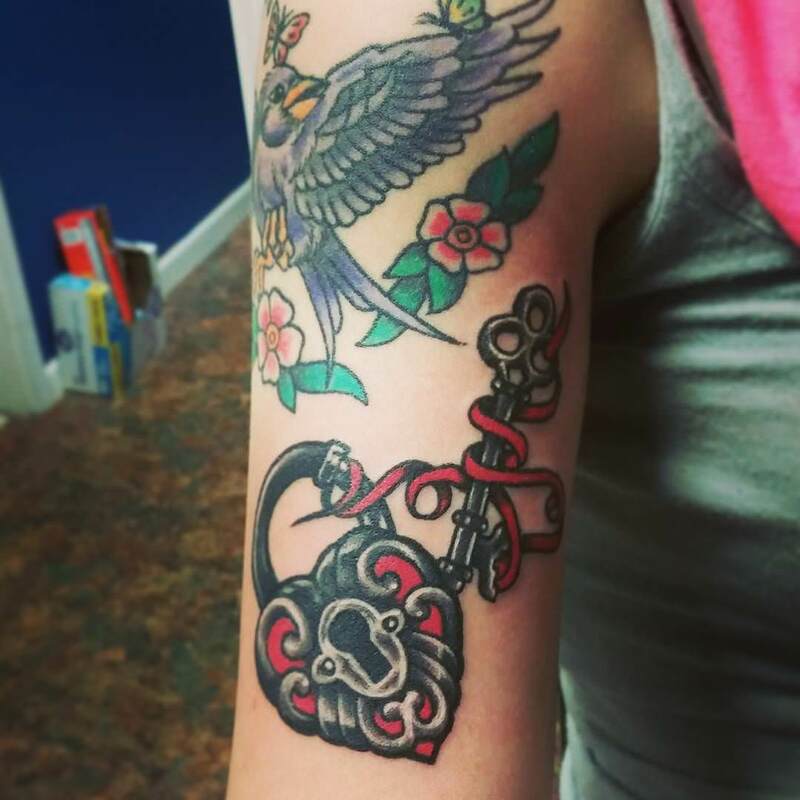 Mostly inked in red to symbolize warmth, black colour is also used in this tattoo design. 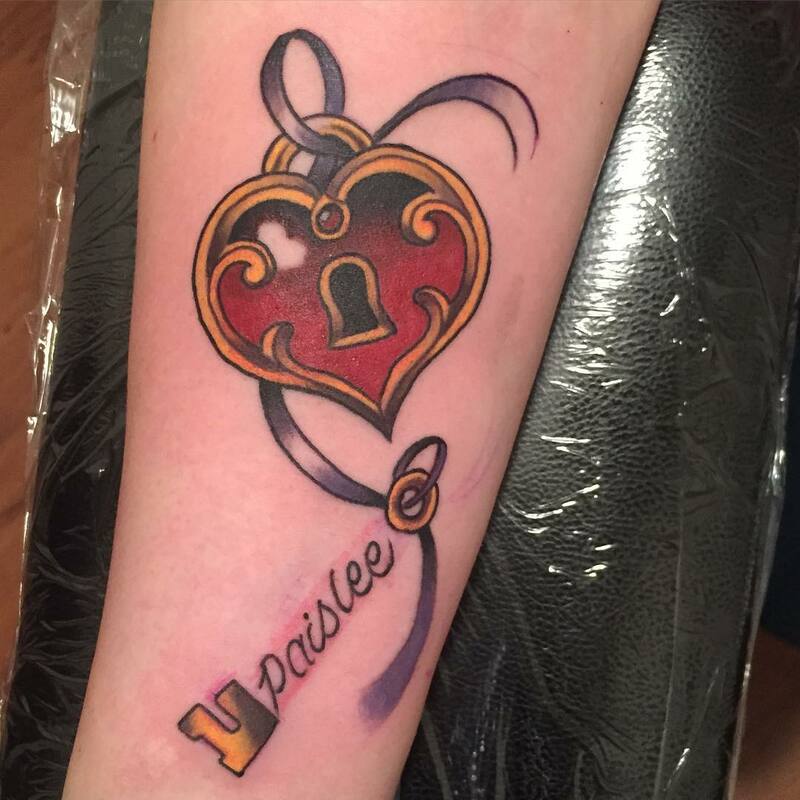 Using a ribbon across heart locket with a special message is also a great option. 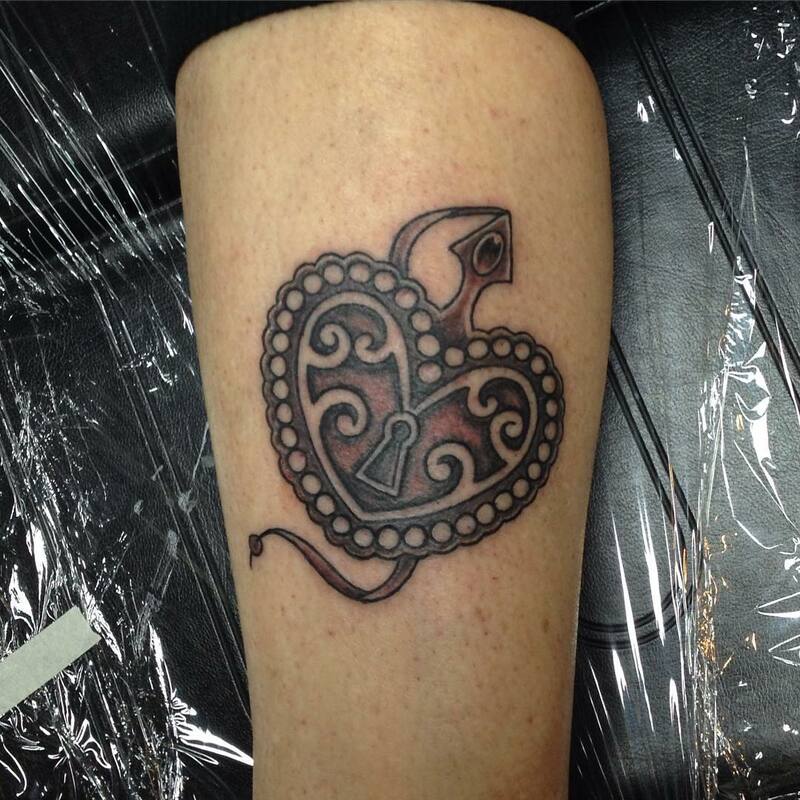 One can also try the arrow piercing the heart symbol to have a dramatic effect on the tattoo. 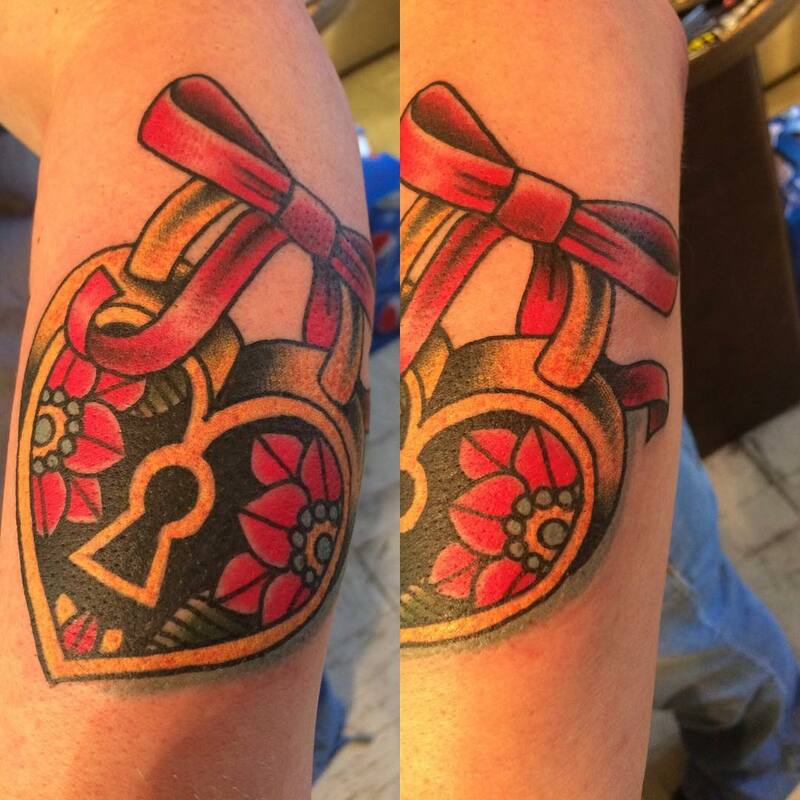 One can express moods, emotions and feelings with different motifs of heart locket. 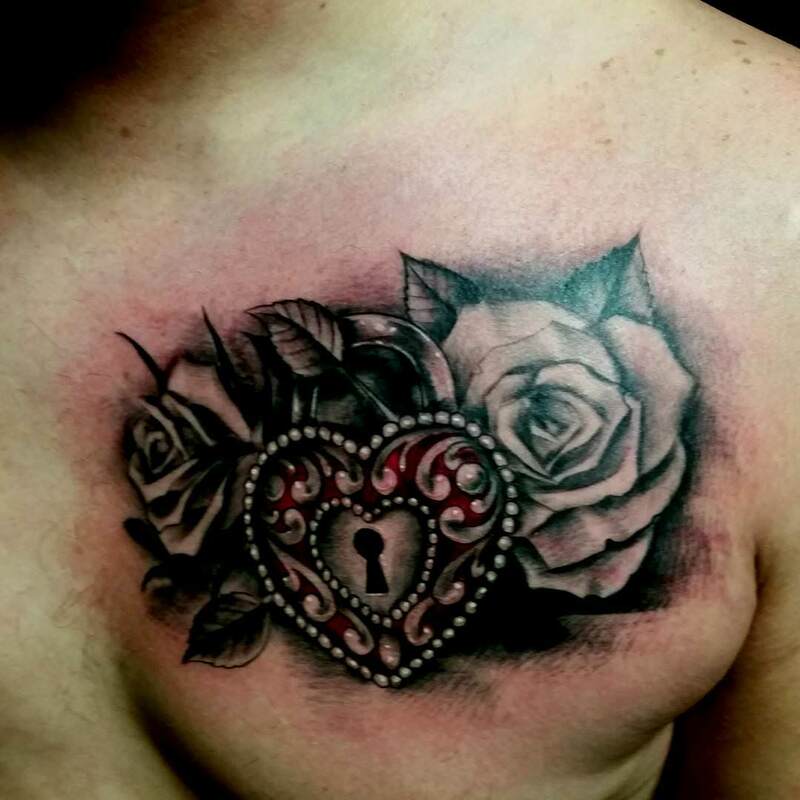 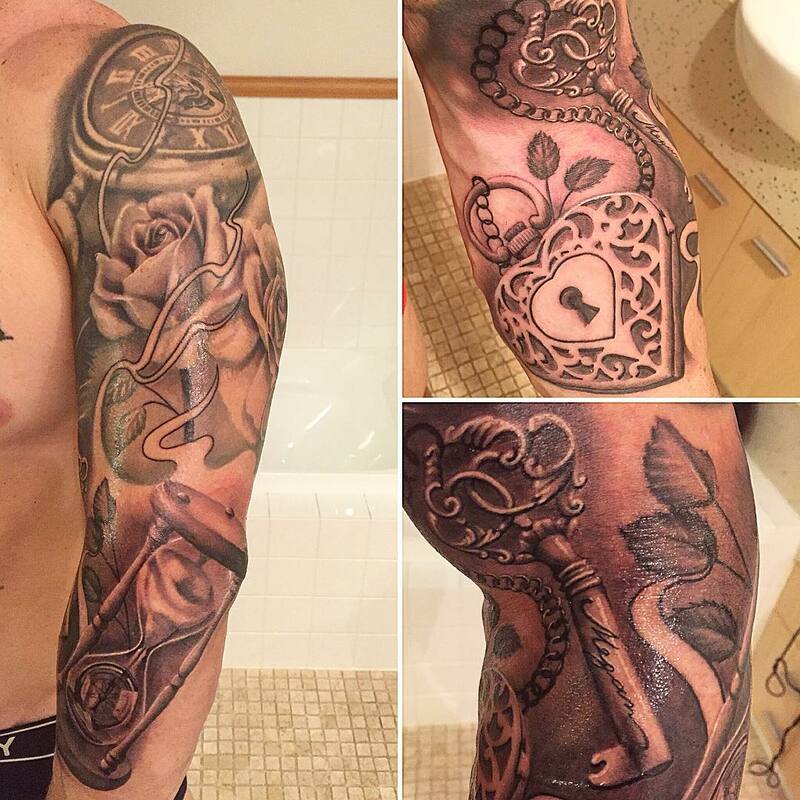 Some of the body parts where a heart locket tattoo suits the most are breastbone, ankle, wrist lower back etc. 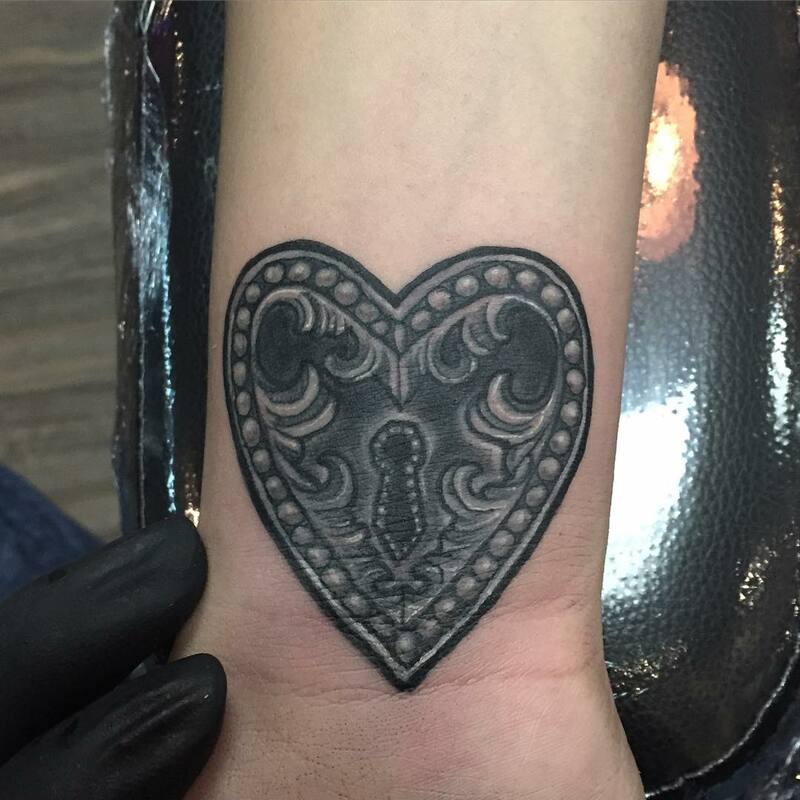 The flying bird is also a beautiful design that can be coupled with the heart. 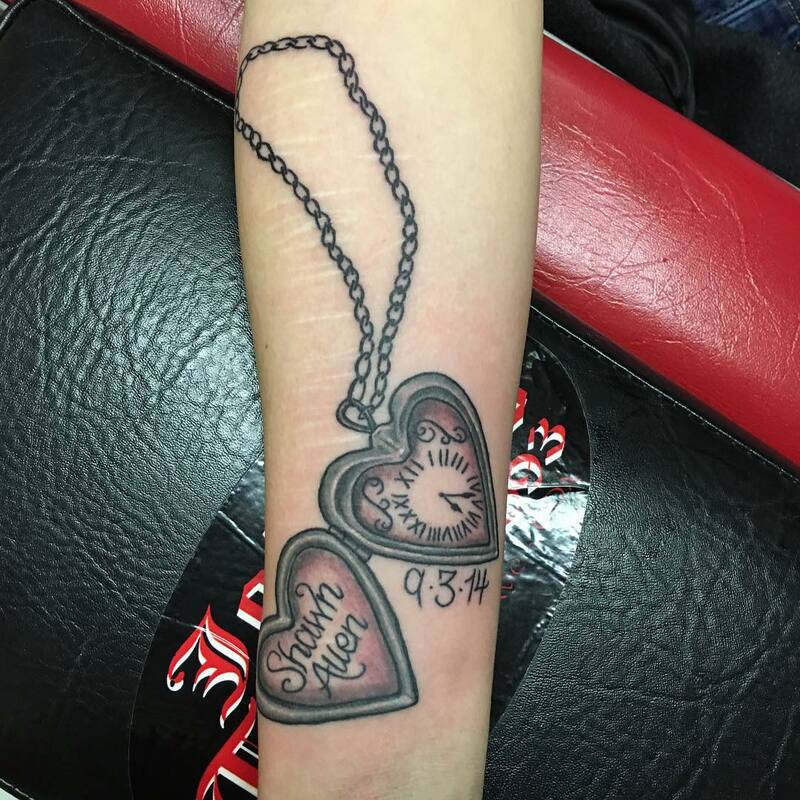 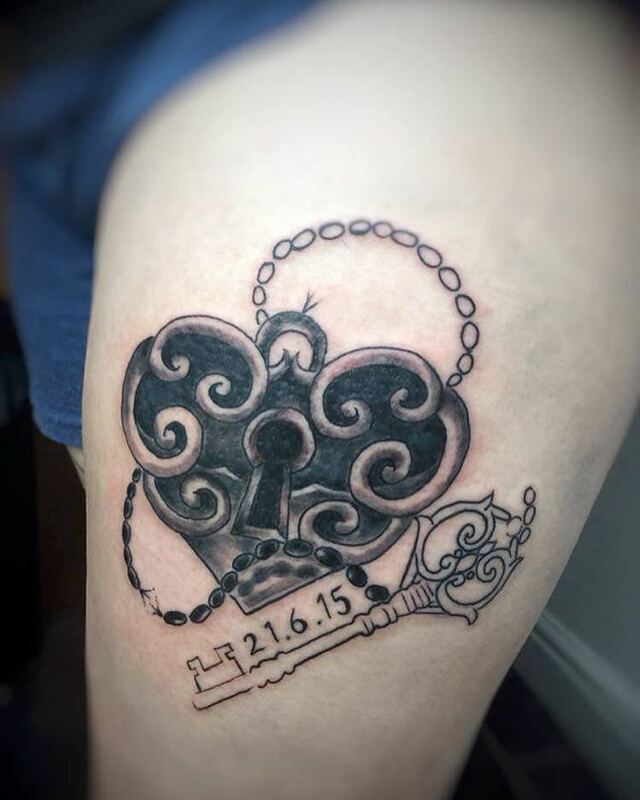 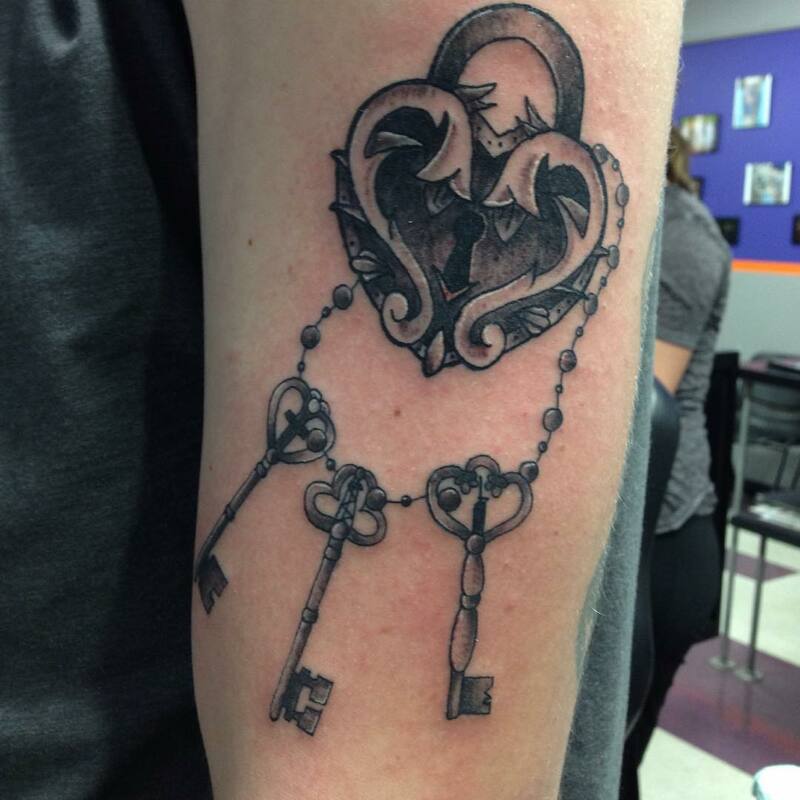 The locket tattoo can be coupled with keys but it is not imperative. 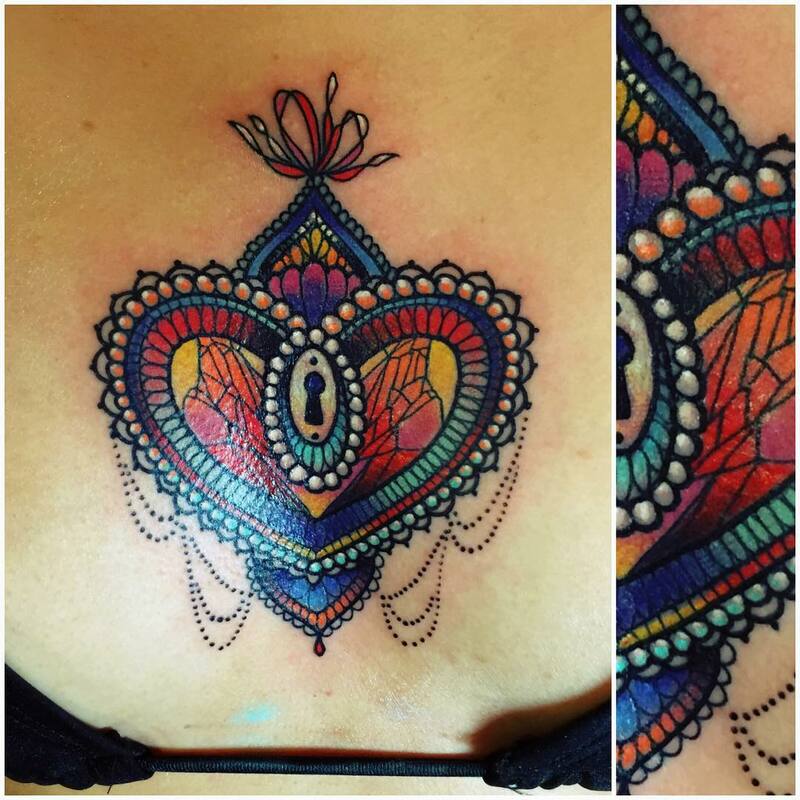 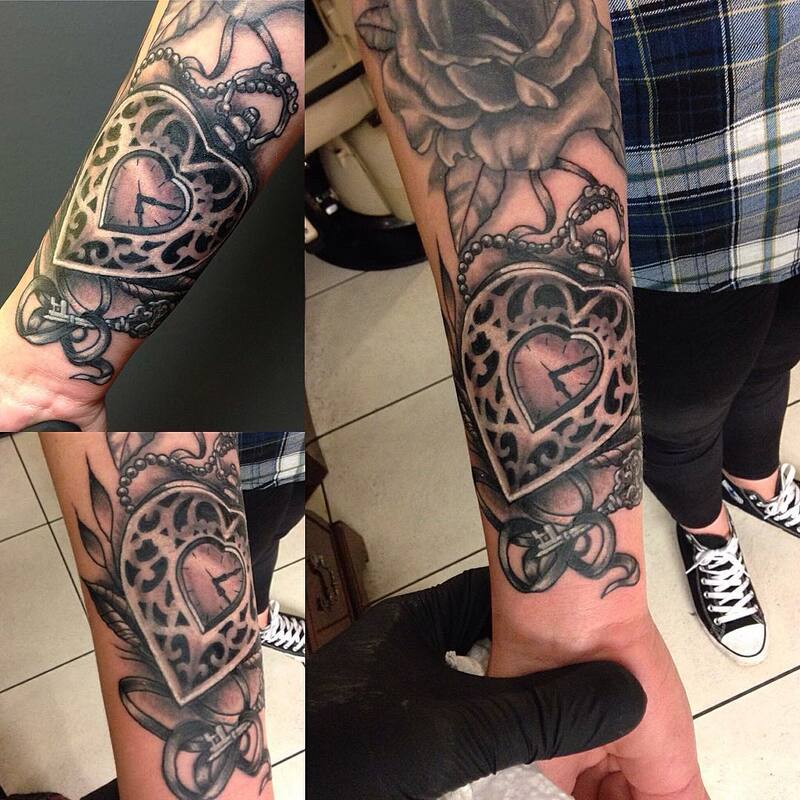 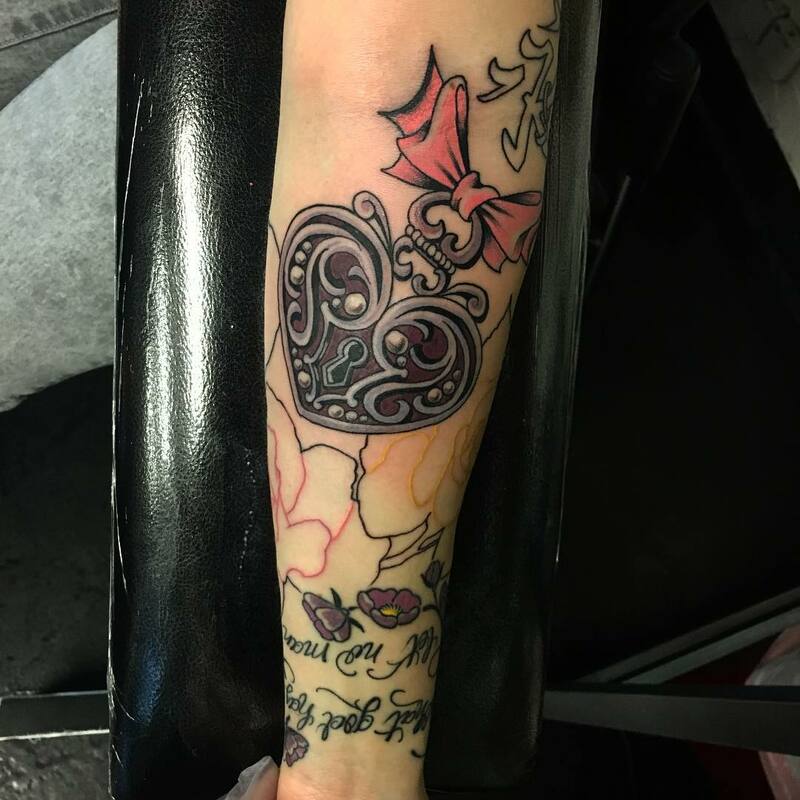 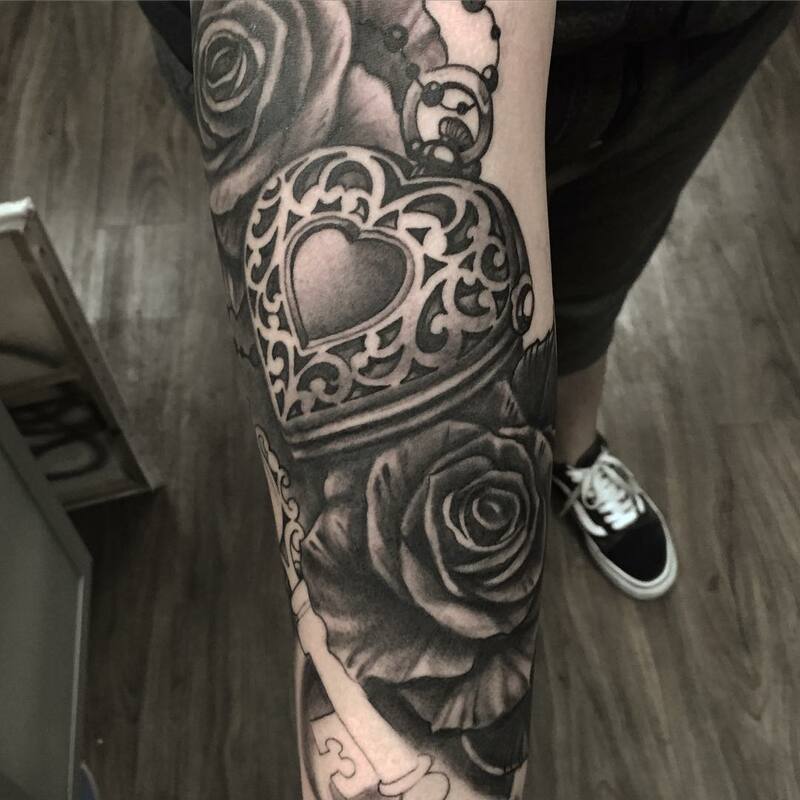 As heart locket tattoos are mostly intricate and decorated extensively, they look stunning. 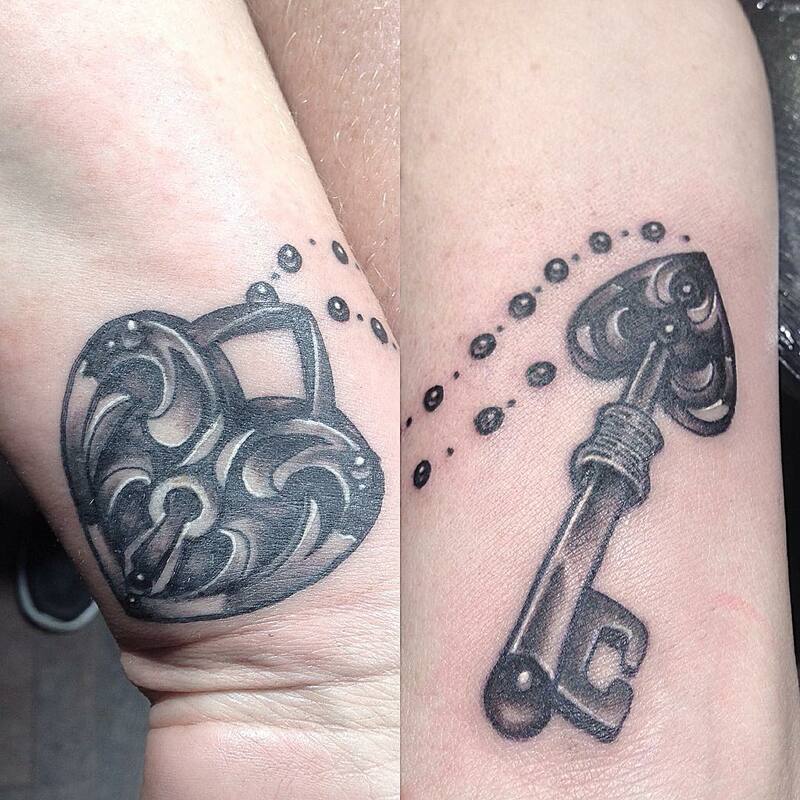 This adds a lot of mystery to your personality so this tattoo is suitable for secretive people. 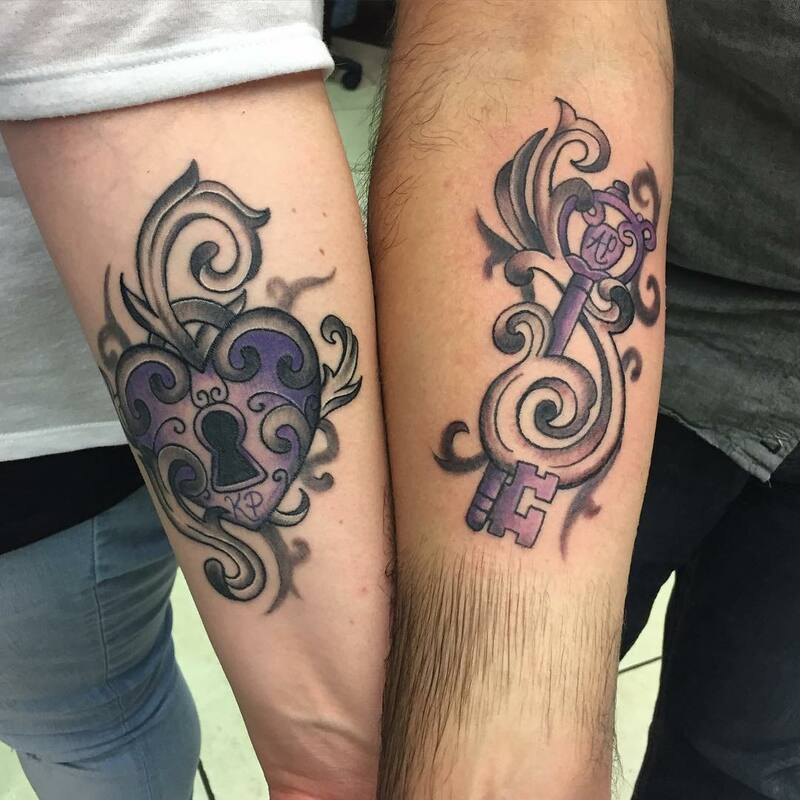 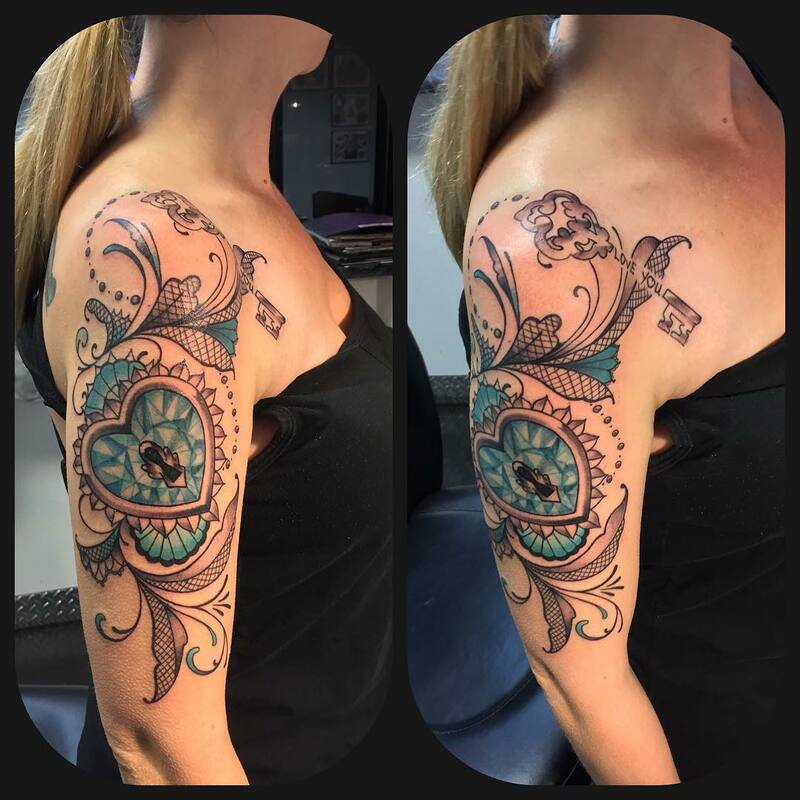 You can add feminine or masculine elements to customize the tattoo as per your needs.